LPW Ultra-Pro support covers are available for 17 applications. Low profile Ultra-Pro covers measure approximately 3-5/8" tall. Extra-low profile Ultra-Pro covers offer improved chassis clearance by measuring only 3-1/8" tall. Lightweight Ultra-Pro support covers have increased clearance allowing for low gear ratios and additional fluid capacity. Ultra-Pro covers are engineered to strengthen the rear housing from unwanted case distortion and gear deflection. 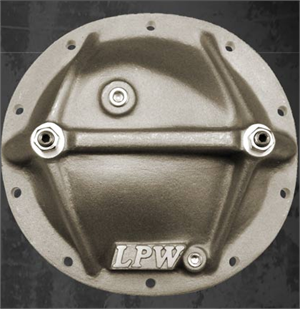 All LPW support covers incorporate 2 adjustable load bolts that support and prevent the main caps frommovement and possible breakage. LPW's load bolts have been certified to be more than 40% stronger than any other brand's load bolt. This makes LPW support covers the strongest on the market. Features Fill and magnetic drain plugs. Additional clearance for billet main caps and low gear ratios Increased fluid capacity and reduced operating temperatures Includes instructions and proper cover mounting bolts (including metric if needed) Simple bolt-on installation. 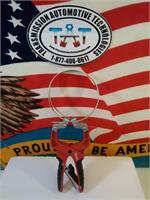 Made in the USA Product may slightly vary from image.